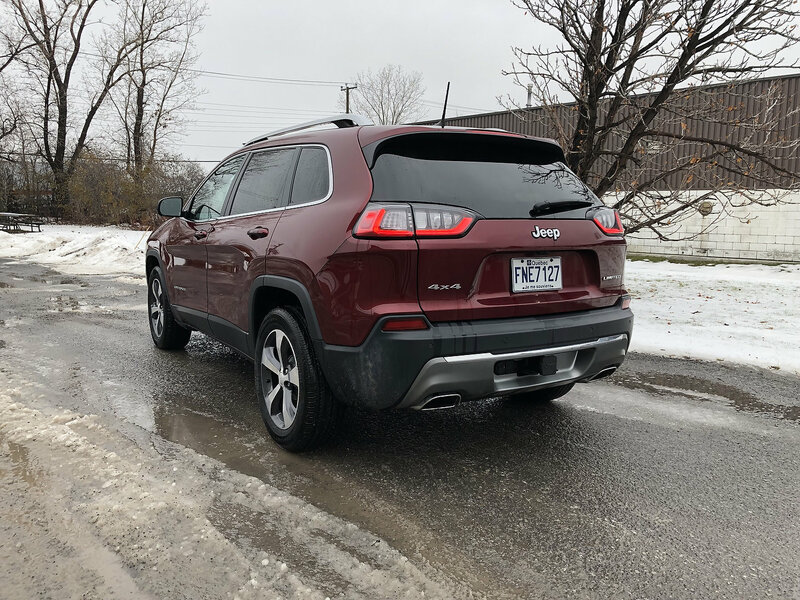 The Great Gretzky said it best when he uttered: “You miss 100% of the shots you don’t take.” When Jeep introduced the current KL generation Cherokee as a replacement for the mediocre Liberty, they decided to push the boundaries of design. 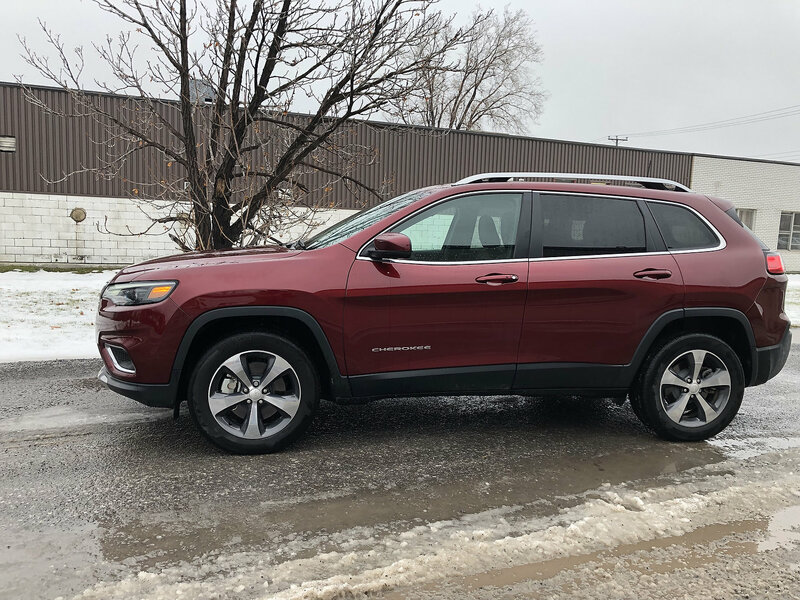 While the 2014-18 Cherokee proved to be popular, few will ever describe the Jeep as handsome, unless it was a Trailhawk – which might explain why most I see are trimmed as such. 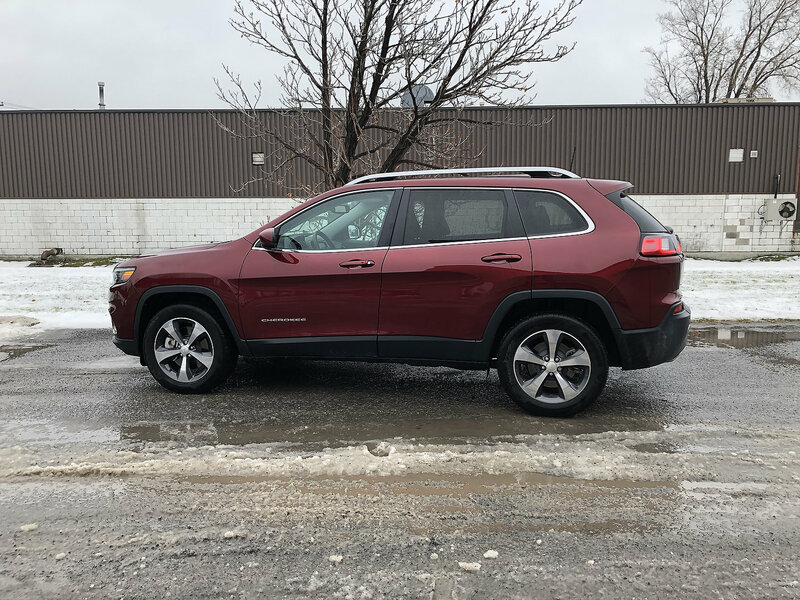 Criticism must have taken its toll as the 2019 Jeep Cherokee looks far more conventional. The offending front fascia is now gone, leaving no good reason to decry the 2019 Cherokee’s overall design. 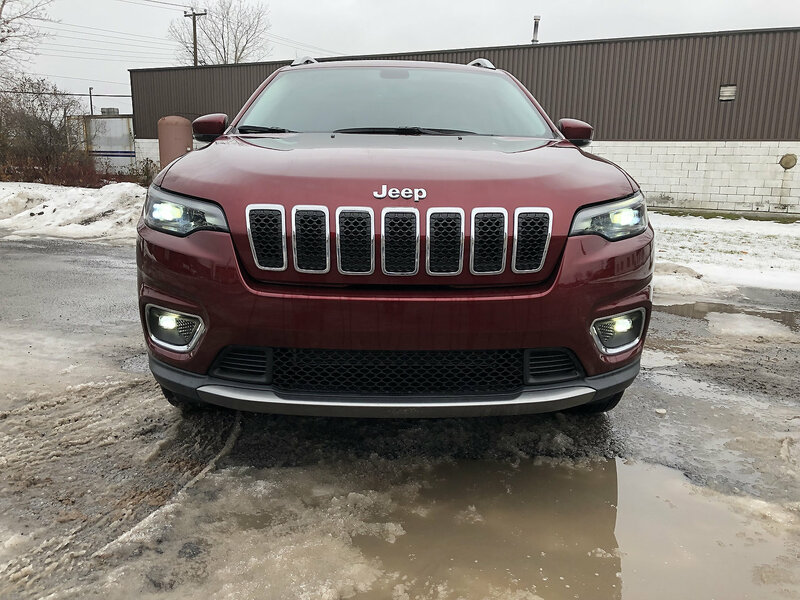 The classic 7-slot grille is ever-present and accounted for but it’s the headlights that, moving forward, incorporate blinkers, signals along with the actual headlamps. The new look is more upscale, and a welcomed sight. The rear taillights are upgraded as well but they required no such attention. These physical revisions have instantly elevated the Jeep Cherokee’s appeal which was, admittedly, quite strong to begin with. 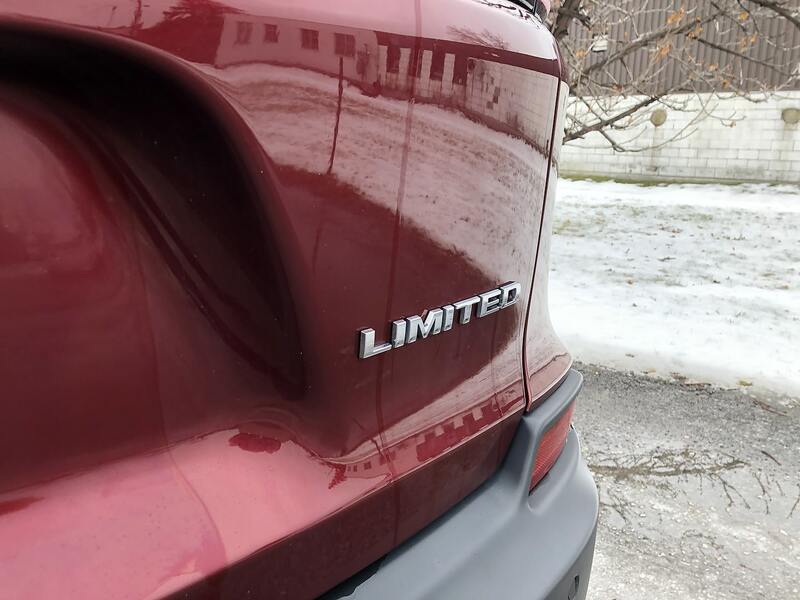 Oddly, my tested Limited with technology, trailer and luxury groups retailed for over $47k but did not look premium. 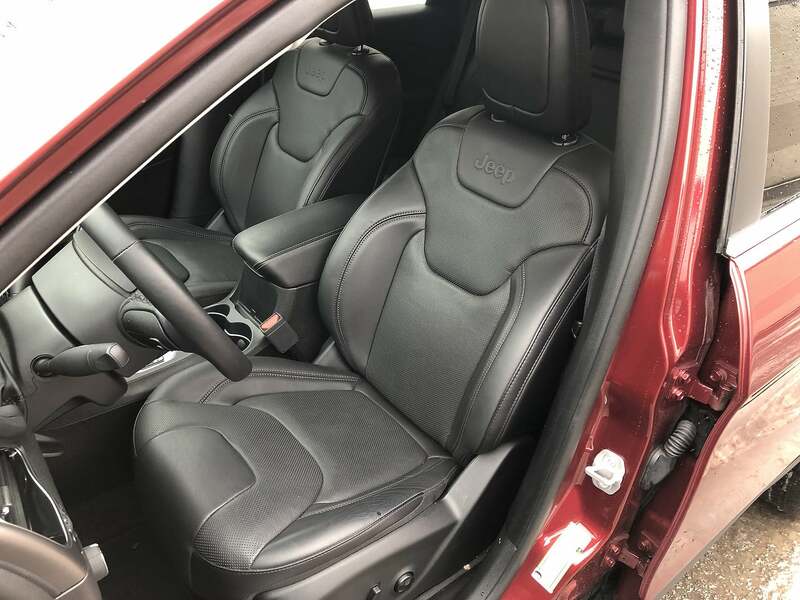 A $41,000 Volkswagen Tiguan R-Line certainly sits as a premium vehicle, by comparison. Days later, I’m still trying to decide if I like the Cherokee’s understated nature… Admittedly, I am leaning towards yes. FCA’s developed an impressive ability to design and build segment-leading interiors. 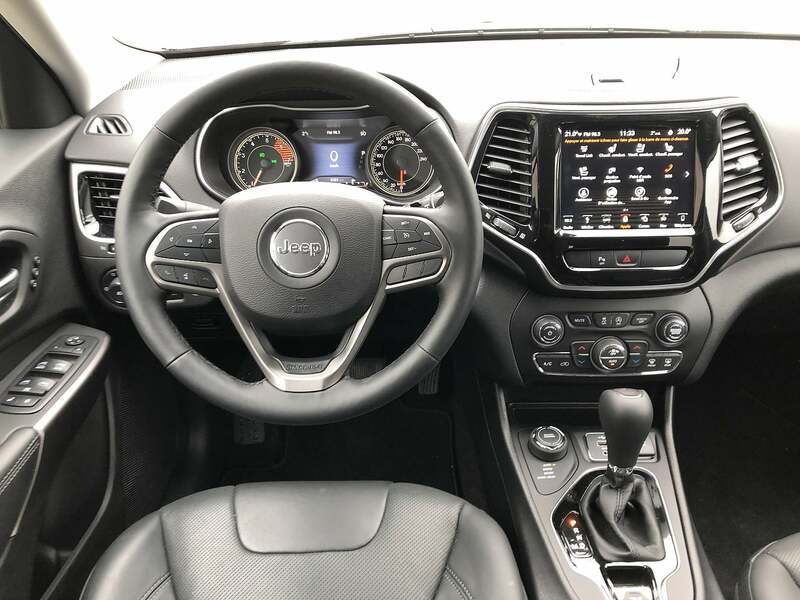 Although the Cherokee’s dashboard and overall cabin layout dates back to 2014, it still looks very contemporary. 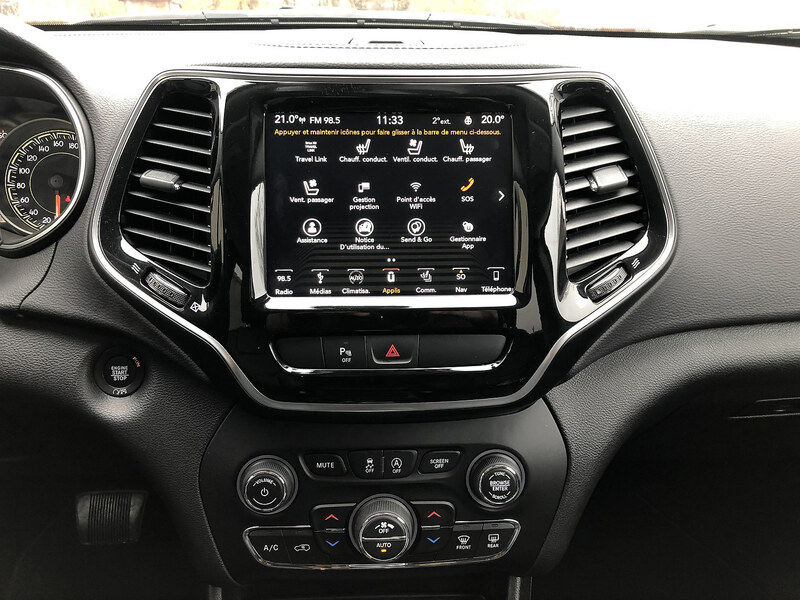 My tested mid-trim $38,990 Limited gains the Uconnect 4 multimedia center with its large 8.4-inch touchscreen which is always a pleasure to use. The equipment level is strong with the Limited. 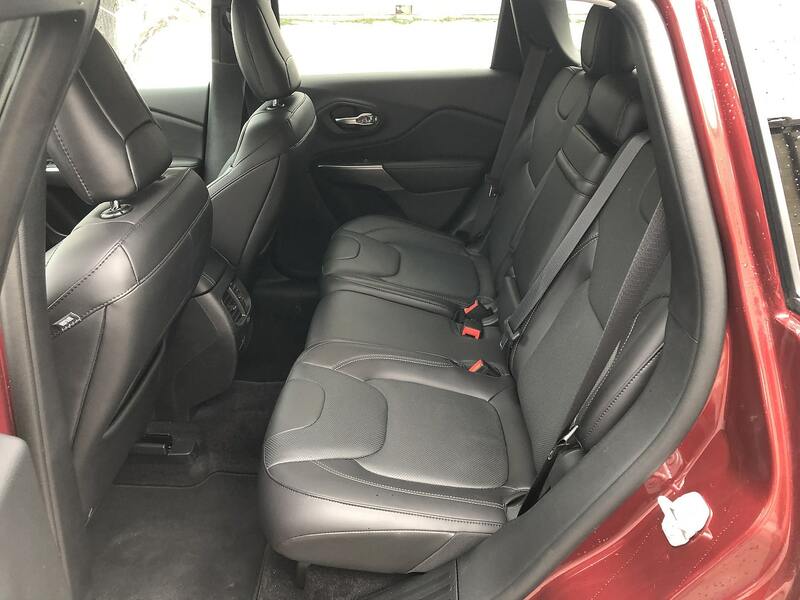 The power heated and cooled Nappa leather front seats are cozy while the tall rear bench is ideal for two occupants. 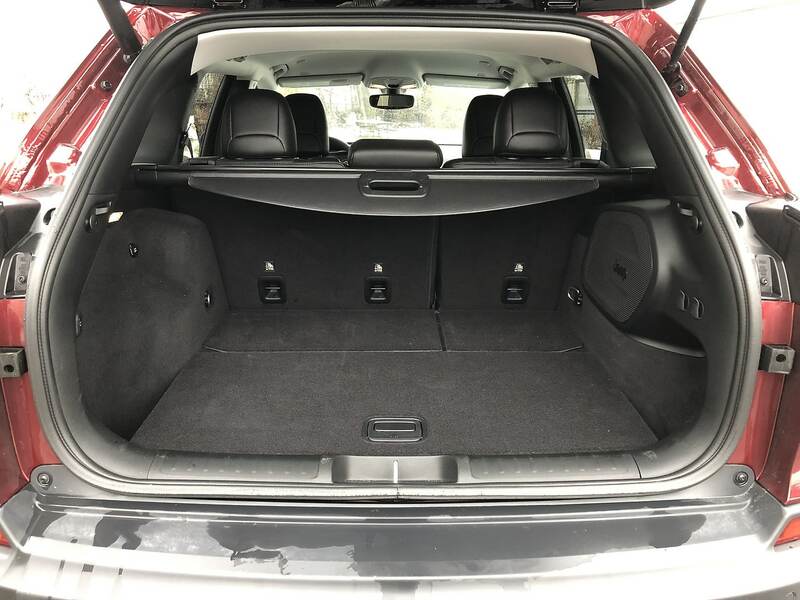 The boot provides up to 700 litres of volume but the number is misleading. There’s little useable depth or width, unlike the VW Golf Sportwagen for example. 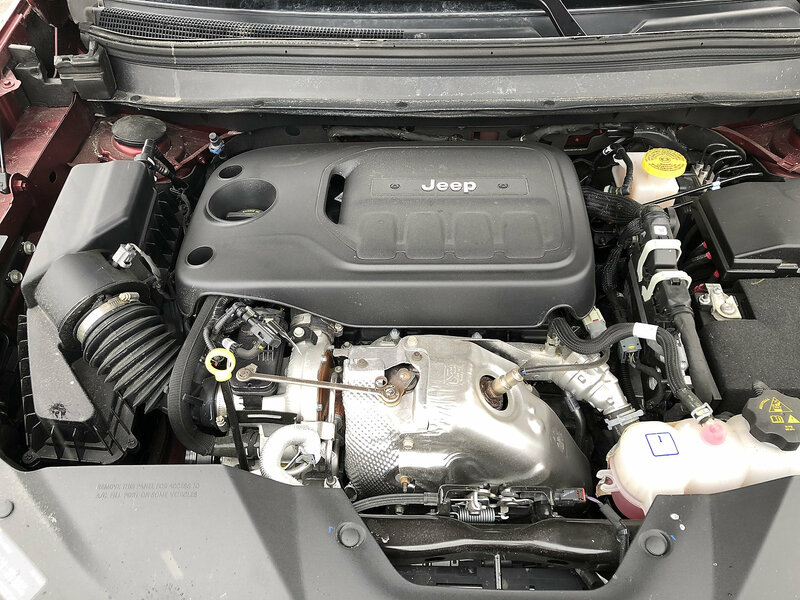 The greatest highlight for the 2019 model year is the addition of Jeep’s turbocharged 2.0-litre 4-cylinder engine. 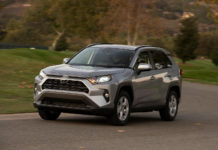 With 270-horsepower and a whopping 295 lb.-ft. of torque on tap, the Cherokee enters the compact performance SUV leagues. 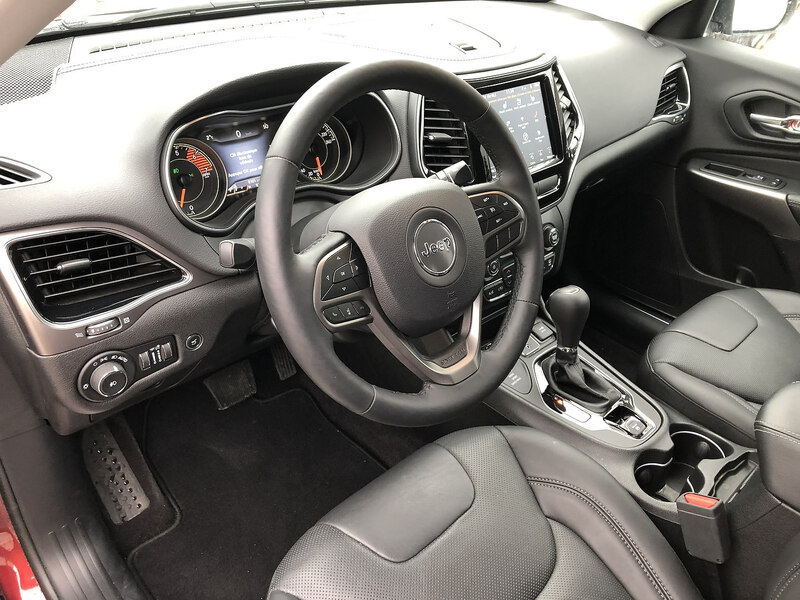 With the included 9-speed automatic transmission’s gearing, to sharp a throttle jab could send you up the vehicle ahead you’s rear end. I kid you not. I quickly attempted to locate the Cherokee Turbo’s 0-60 mph time unsuccessfully. If you ask me, in the right conditions, it can’t be much more than 6 seconds. You’ll have guessed that I “exploited” the turbo-4 somewhat and it wasn’t all fun and games. 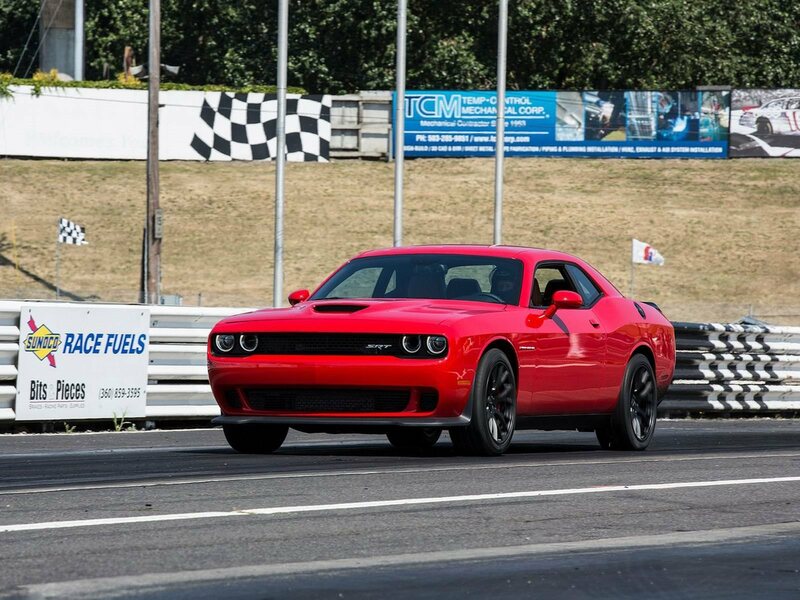 The 948TE 9-speed automatic transmission is notorious for being a slow, unwilling participant in all forms of forward thrusts. 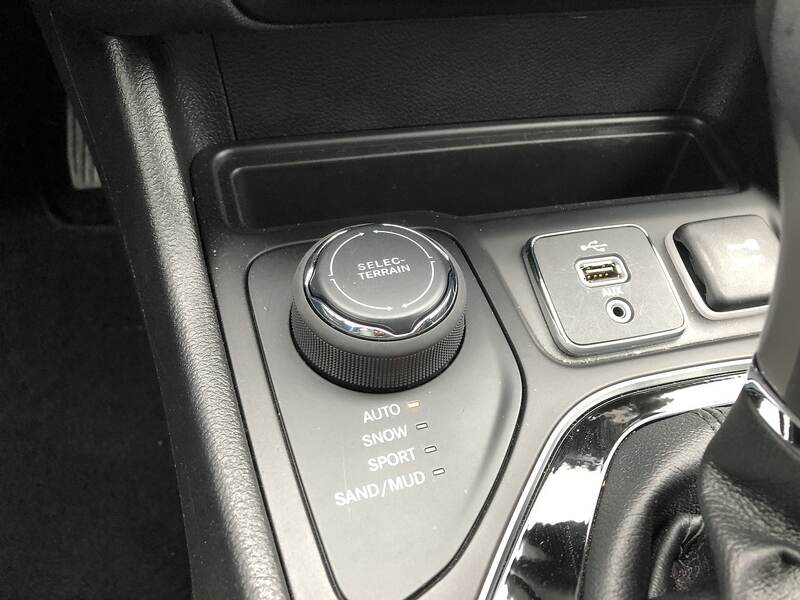 In my time with the Cherokee, it occasionally lazed about even under light throttle pressure but it is vastly improved over my previous experiences. 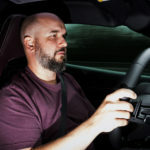 The 2.0T is however not an inexpensive option. 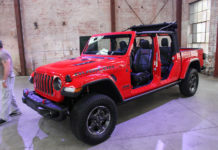 The cheapest way to own it is through the North trim as a FWD Jeep for $38,080. Going 4×4 adds $1,500. 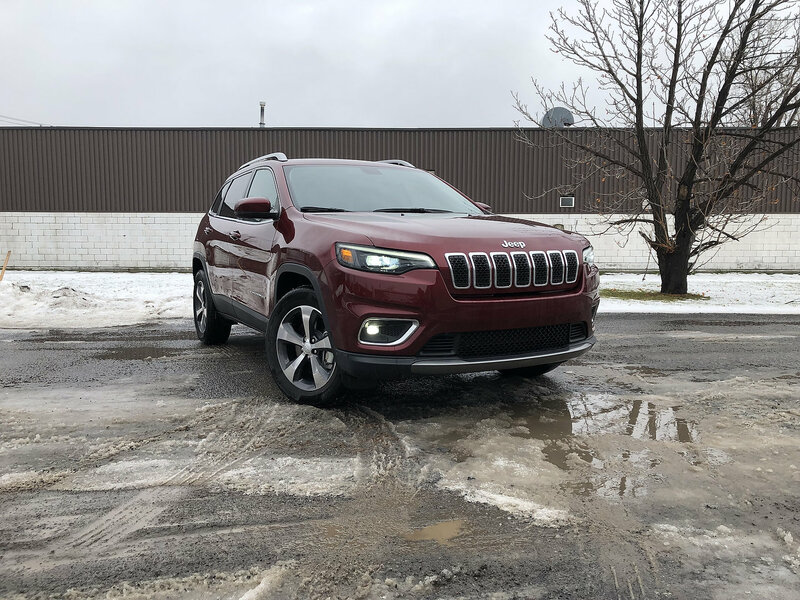 As far as I’m concerned, it transforms the Cherokee into an altogether different beast but I will add that powertrain reliability would remain a concern. 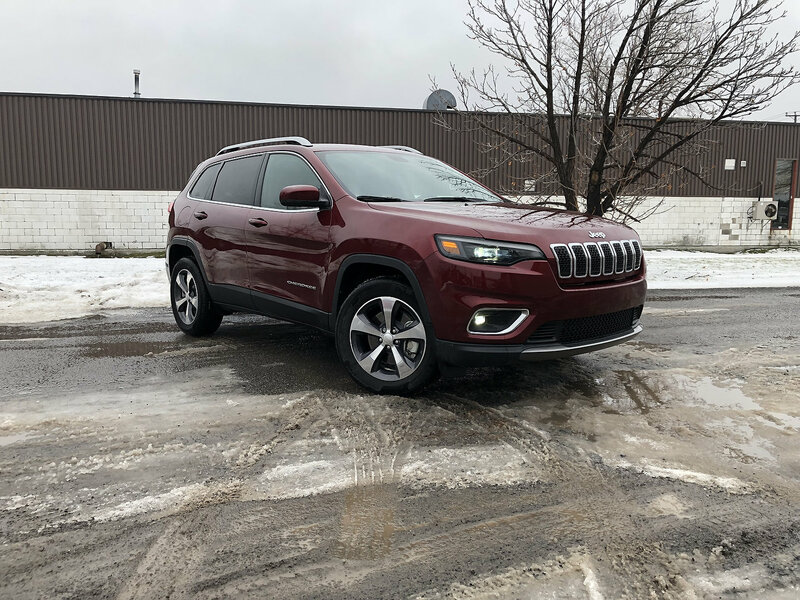 As far as the driving experience beyond the turbo 2.0’s power, the Cherokee’s chassis setup with fully independent suspension is a good on-road companion. 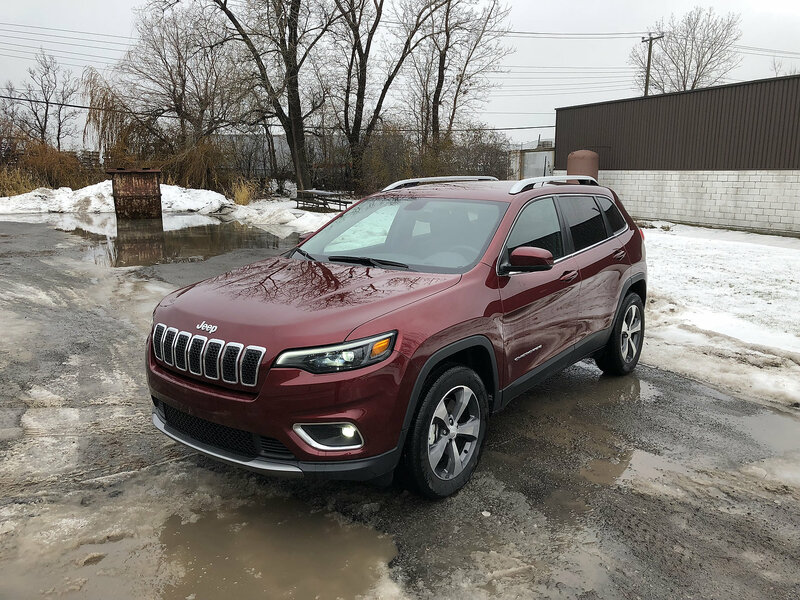 Despite the Jeep’s more rugged nature, the Cherokee is a fine handling small utility vehicle that never backs down when faced with a trail. 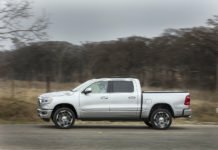 The standard Active Drive I AWD system is more than perfect for the daily grind. 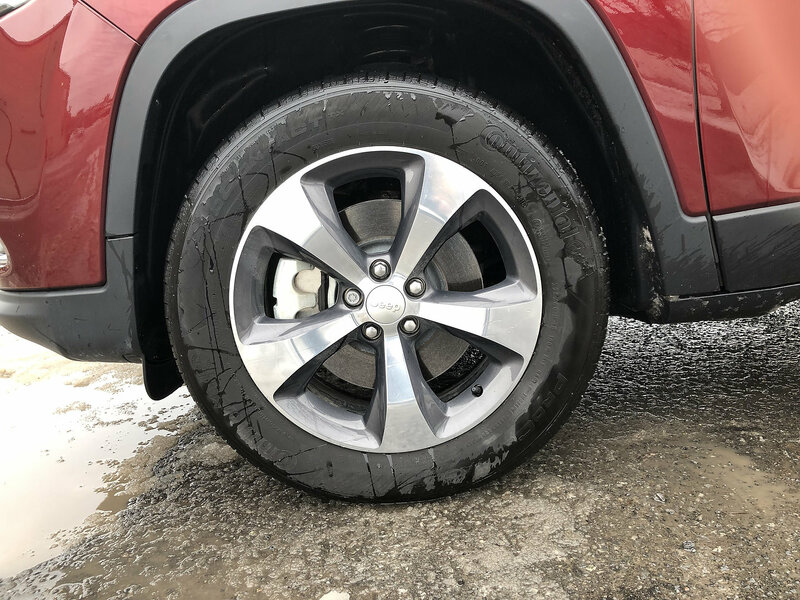 Let’s not forget that even in its most basic trim, the Cherokee still sports some serious ground clearance and approach and departure angles. If more capabilities are required, there are numerous way to spec your Cherokee for all kinds of off-roading activities. 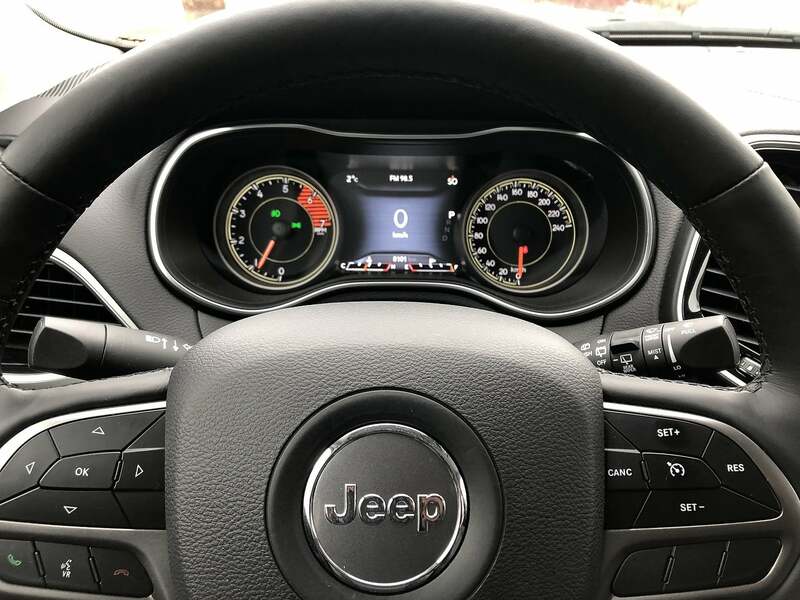 As enamored as I am with the updated 2019 Jeep Cherokee, its retail pricing is a complete turn off. The most basic FWD Sport on steel wheels starts at $31,990, before rebates and incentives. 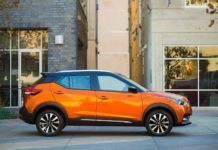 An equivalent 2019 FWD Honda CR-V is $4,500 less, a 2018 Toyota RAV4, $4,200 and so on. There’s no reason to justify the jump. None. The gap does not narrow as equipment piles on, as is the case with my Limited. The only exception applies to Cherokees with off-roading kit, which have no equivalents among the competition. And unless this is the version you’re interested in, I see no reason to get a Cherokee in spite of the fact that I really like it. FCA’s already loaded the 2019 Jeep Cherokee with rebates so the price gap is not as great. I would however, suggest more negotiations for an even better price.